Below you fill find all funeral homes and cemeteries in or near Rolling Meadows. Suburbs of Rolling Meadows: Rolling Mdws. 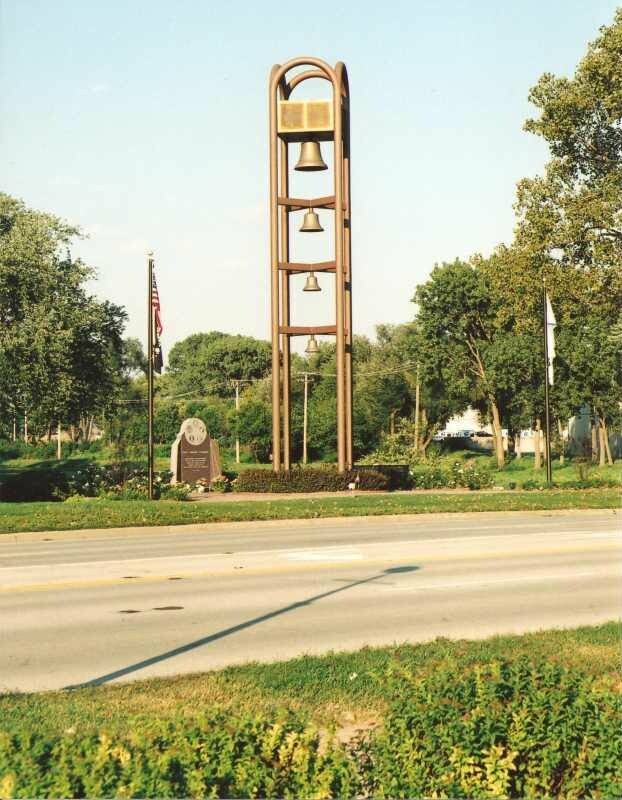 Rolling Meadows is also known as: Cook County / Rolling Meadows city. Their current mayor is Mayor Tom Rooney. Zip codes in the city: 60008. Some of the notable people born here have been: Adam Musto (journalist), Scott Tolzien (american football player), and Jay Bennett (guitarist and record producer). It was disclosed by Chicago Tribune on February 17th, 2019 that Evelyn J Ponczkowski (Kurasiewicz) passed on in Rolling Meadows, Illinois. Ms. Ponczkowski was 83 years old. Send flowers to share your condolences and honor Evelyn J's life. It was reported by The Daily Herald on February 5th, 2019 that Evelyn E Evensen (Hayes) perished in Rolling Meadows, Illinois. Ms. Evensen was 84 years old. Send flowers to share your condolences and honor Evelyn E's life. It was noted by The Daily Herald on February 3rd, 2019 that Tracey Diane Gebhardt perished in Rolling Meadows, Illinois. Gebhardt was 54 years old. Send flowers to share your condolences and honor Tracey Diane's life. It was noted by The Daily Herald on February 3rd, 2019 that Jospeh J Sr Hanley passed away in Rolling Meadows, Illinois. Hanley was 92 years old. Send flowers to share your condolences and honor Jospeh J Sr's life. It was written by The Daily Herald on January 29th, 2019 that William Craig "Craig" Chamberlin died in Rolling Meadows, Illinois. Chamberlin was 89 years old and was born in St Louis, MO. Send flowers to express your sorrow and honor William Craig "Craig"'s life. It was written by The Daily Herald on January 6th, 2019 that Dean M Rosenquist passed away in Rolling Meadows, Illinois. Rosenquist was 62 years old. Send flowers to express your sympathy and honor Dean M's life. It was written by The Daily Herald on December 18th, 2018 that Leonard W Meehan passed on in Rolling Meadows, Illinois. Meehan was 73 years old. Send flowers to express your sorrow and honor Leonard W's life. It was written by Chicago Tribune on December 13th, 2018 that James P Broderick died in Rolling Meadows, Illinois. Broderick was 82 years old. Send flowers to express your sorrow and honor James P's life. It was disclosed by The Daily Herald on December 4th, 2018 that Constance T Wilson (Loftus) perished in Rolling Meadows, Illinois. Ms. Wilson was 84 years old. Send flowers to share your condolences and honor Constance T's life. It was revealed by The Daily Herald on November 6th, 2018 that Robert L "Bob" Hawkins died in Rolling Meadows, Illinois. Hawkins was 92 years old and was born in Sharon, PA. Send flowers to express your sorrow and honor Robert L "Bob"'s life. But prospective buyers of the Kimball Hill homes persuaded the Cook County Board for zoning changes to allow Hill to proceed. Rolling Meadows is located at (42.076209, -88.025911) . Rolling Meadows is located in Cook County and is NW of the Loop. The town boomed during the 1950s and 1960s as businesses moved into the area. He also founded the Rolling Meadows Homeowners' Association, donated land for parks, and funded the Clearbrook Center, a home for the mentally handicapped, which opened in 1955. In 1927 H.
The official website for the city of Rolling Meadows is http://www.cityrm.org. Meadows Funeral Home, Rolling Meadows, IL : Reviews and maps - Yahoo! Local, 847.253.0224. Get Ratings, Reviews, Photos and more on Yahoo! Local. Here are the results for funeral homes in Rolling Meadows Illinois. You can find some of the best funeral homes businesses serving Rolling Meadows. Funerals in Rolling Meadows, IL on Yahoo! Local Get Ratings & Reviews on Funerals with Photos, Maps, Driving Directions and more. funerals in Rolling Meadows, IL 60008 on Yahoo! Local Get Ratings & Reviews on funerals with Photos, Maps, Driving Directions and more. We work with local florists and flower shops to offer same day delivery. You will find budget sympathy flowers in Rolling Meadows here. Our funeral flowers are cheap in price but not in value.